Defense Secretary Jim Mattis made a rare television appearance before the White House press corps Wednesday to speak directly to the public — and perhaps, more importantly, to Capitol Hill — to convince them that anything short of a regular budget would do irreparable harm to an already cash-strapped military. Mattis took to the podium one day before the government faced a second shutdown of the year, and as Congress edged closer to a potential budget deal that would fully fund defense and avert a shutdown. “Absent a budget this year, America’s military will not be able to provide pay for our troops by the end of the year. 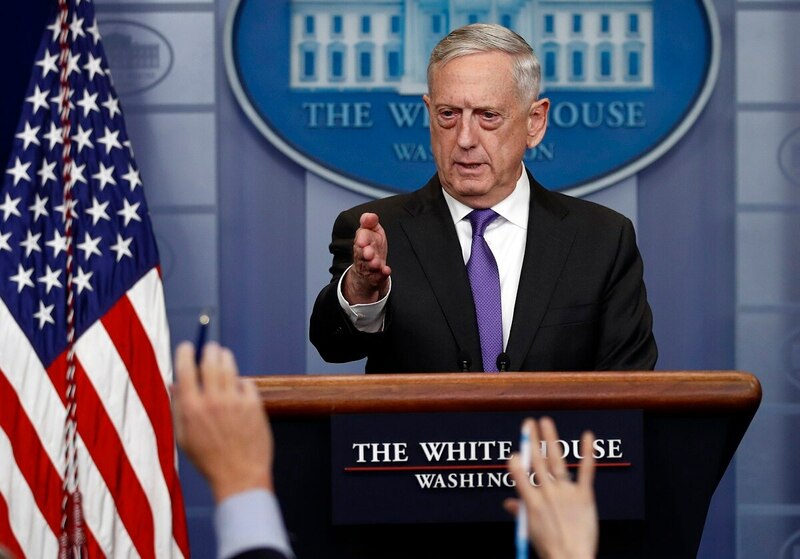 We will not be able to recruit the 15,000 Army soldiers and 4,000 Air Force airmen required to fill critical manning shortfalls,” Mattis said before the White House press corps, repeating an argument he made before the House Armed Services Committee on Tuesday. “I cannot overstate the negative impact to our troops’ and families’ morale from all this budget uncertainty,” Mattis said. As he made the case, however, Mattis was also asked about the potential costs the Pentagon would incur to provide a full military parade for President Donald Trump, as he has requested, according to media reports. Mattis said he’d provide the president with options on a possible parade. He did not answer a reporter’s question about parade costs. Mattis said that a potential budget compromise that would provide $700 billion to the military this year and $716 billion in fiscal year 2019 would help heal some of the readiness challenges the military has faced. But if the House and Senate cannot come to agreement by midnight Thursday, the government will shut down for the second time this year. An alternative option, where Congress ends up supporting another continuing resolution, would exacerbate the Pentagon’s funding challenges, Mattis said. If Congress can pass the full year $700 billion package, DoD will be good stewards of the money, Mattis pledged, and use the funds to improve the military’s readiness.